A multi-faceted composer and conductor, Christopher Anderson-Bazzoli (b. 1969) creates music with enduring appeal across cultures and genres. His well-crafted and deeply-felt scores for the studio and indie film worlds, his innovative compositions for the classical concert stage, and his skilled musical direction for artists from across the pop music spectrum have earned him a reputation as a musician with a collaborative spirit and emotional intelligence. Once a student of film scoring masters Henry Mancini and David Raksin, Anderson-Bazzoli was nominated for an Emmy Award at age twenty-one for his first professional score: A Year to Remember on CBS News. LA Weekly praised his score for the Civil War drama Shooting Creek (Starz/Encore) as “wonderful period music” while Variety described Revolution OS (dist. 7th Art, Sundance Channel) as coming “complete with a nice soundtrack, unusual for this kind of documentary.” He has composed innovative and potent scores for the Venezuelan thriller Elipsis (dist. 20th Century Fox), the award-winning Swedish short Without Snow, the animated action feature Angel Wars: The Messengers (Fox Faith Video), and The Wind and the Water (aka Burwa Dii Ebo) – a collaborative feature film project by Vero Bollow and the Igar Yala Collective of Panama, which received its acclaimed premiere at the 2008 Sundance Film Festival. Anderson-Bazzoli is also the recipient of the prestigious Sundance Composers Lab Fellowship (2003). Anderson-Bazzoli's concert music navigates diverse aesthetics – from strict forms of motor-rhythmic “process” music to emotional and freely improvised art songs, embracing tonal and non-tonal elements as well as electronics and amplification. He received a 2012 ARC Grant from the Center for Cultural Innovation for Continent's End, his affecting settings of iconoclastic California poet Robinson Jeffers, commissioned for the 150th anniversary of the poet's birth. He is winner of the 2010 Ironworks Percussion Duo Composition Competition for his dynamic work Prayer of the Heliotrope, as well as the American Composers Forum's “Subito” Award for his amplified string quartet Gentrify – written for LA's cutting-edge rock string quartet The Section. As a conductor and orchestrator Christopher Anderson-Bazzoli has provided musical direction for leading contemporary music festivals, innovative theater companies, and recordings from across the pop music spectrum – among them Christina Aguilera's Grammy-winning Back to Basics, a forthcoming 2014 album from indie stars She & Him (Zooey Deschanel & M Ward), and crooner Michael Buble's multi-platinum album Christmas. He spent the '05-'06 television season orchestrating and producing synth-tracks for Paramount's Star Trek: Enterprise with composer Jay Chattaway and made an appearance at the 2011 Carlsbad Music Festival, where he conducted a performance of Sarah Kirkland Snider's “rapturous” (NY Times) song cycle Penelope. Most recently Anderson-Bazzoli directed the choir for A (Micro) History of World Economics, produced by the ground breaking theater troupe Los Angeles Poverty Department and staged at LA's outdoor Pershing Square by noted French director Pascal Rambert. Anderson-Bazzoli's music preparation and editing skills have been sought by major arts organizations and publishers such as Chester Music (London), The Royal Opera, and Los Angeles Philharmonic, as well as feature film studios such as Disney, ABC, Paramount, and Warner Brothers. Immediately after receiving degrees in Tuba Performance and Composition from UCLA, Anderson-Bazzoli served as editor and consultant for eminent composer-conductor Esa-Pekka Salonen on several projects with the LA Phil, including Salonen's work LA Variations, the Filmharmonic series with innovative stage director Peter Sellars, and PBS' Great Performances special to inaugurate Walt Disney Concert Hall. Well-known for expertise in craft and perceptive expression, Anderson-Bazzoli's artistry always invites listeners into a rich musical experience. Ice Cream Wallah (USA, 2013) – dramatic short; directed by Terrie Samundra. 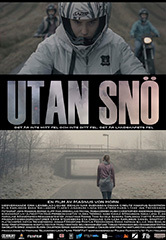 Without Snow (Sweden, 2010) – dramatic short; directed by Magnus von Horn. Kunjo (USA/India, 2009) – drama short; directed by Terrie Samundra. Driver’s Ed (USA, 2009) – web series; directed by Don Handfield. 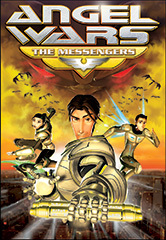 Angel Wars: The Messengers (USA, 2008) – animated feature; Backyard Entertainment; distr: Fox Faith. 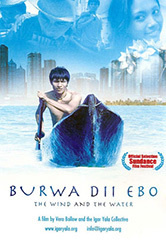 The Wind & The Water (Panama, 2008) – dramatic feature; directed by Vero Bollow & the Igar Yala Collective. 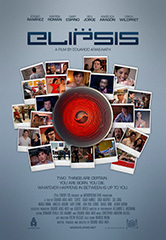 Elipsis (Venezuela, 2007) – thriller feature; directed by Eduardo Arias-Nath; distr. 20th Cent. Fox Latin Am. 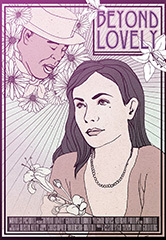 Beyond Lovely (USA, 2005) – comedy short; directed by Hilary Goldberg. 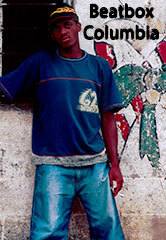 Beatbox Colombia (Germany/Colombia, 2005) – documentary feature; directed by Dirk Lienig. 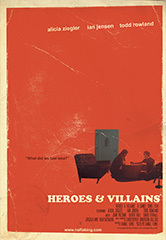 Heroes & Villains (USA, 2004) – dramedy feature; directed by Daniel Semel. Lazarus (USA, 2002) – dramatic short; directed by Eduardo Arias-Nath. 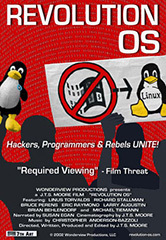 Revolution OS (USA, 2001) – documentary feature; directed by J.T.S. Moore. Intermediate Yoga with Rodney Yee (USA, 2000) – instructional video; Gaiam International Video. 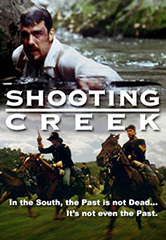 Shooting Creek (USA, 1995) – action-adventure short; directed by J.T.S. Moore. 1991: A Year to Remember (USA, 1991) – documentary short; CBS News. Warren Lustig, editor & producer. 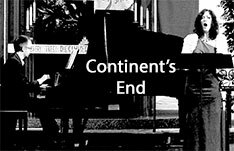 Continent's End: Nine Poems of Robinson Jeffers for mezzo-soprano & piano (2012); Robinson Jeffers Association 2012 Conference. 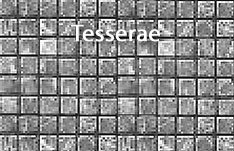 Tesserae for orchestra (2006); uncommissioned work. 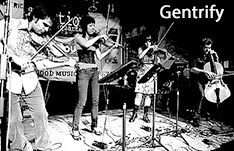 Gentrify for amplified string quartet with delay (2005); The Section Quartet. 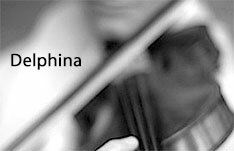 Delphina for violin and pre-record (2005); wedding music, Eric Gorfain, violin. 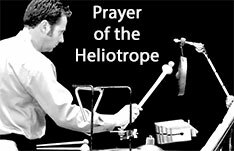 Prayer of the Heliotrope for percussion duo (2002); Aaron Smith and Ken McGrath (Los Angeles Percussion Collective). The Pacific Grove Yankee for concert band (1999); UCLA Wind Ensemble, Thomas Lee, conductor. Katabasis for chamber orchestra (1995); UCLA Chamber Orchestra, Elizabeth Wright, conductor. 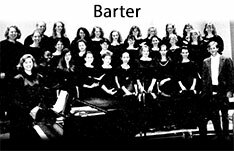 Barter for women’s chorus (1992); Washington and Lee University Women’s Chorus, Courtney Birch, director. 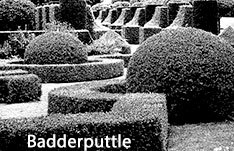 Badderputtle for ten instruments (1997, Yorke Dance Project) – Keck Theater, Occidental College. Girasole for piano (2003, Donna Eshelman - choreographer) – Besant Lodge, Hollywood, CA. Hospital (2013, Los Angeles Poverty Dept. & Wunderbaum) – REDCAT's RADAR:LA Festival, Tower Theater, Los Angeles, CA. Les Preciueses Ridicule by Moliere (1998, Euro Theater) – Globe Theater, West Hollywood, CA. Terra Incognita for early music ensemble (2002) – Domfestspiele Verden, Germany. Slow Dancing (2007, David Michalek) – Venice Biennale, Italy; Guggenheim Works and Process Lectures, New York. conductor, She & Him: Forthcoming album (2014) – M Ward, arranger & producer. conductor/orchestrator/copyist, Dr. Dre: Unreleased Solo Album (2011, Aftermath Entertainment) – Eric Gorfain, arranger; Dr. Dre, producer. conductor/orchestrator/copyist, Tiffany: Yes Indeed (2007, Aftermath Records) – Eric Gorfain, arranger; Dr. Dre, producer. orchestrator/copyist, Allstar Weekend: “Teenage Hearts” (2011, Hollywood Records) – Stephen Lu, arranger; John Fields, producer. conductor/orchestrator/copyist, Marsha Ambrosius: All or Nothing (2008, Aftermath Records) – Eric Gorfain, arranger; Dr. Dre, producer. orchestrator/copyist (percussion), Pacific Rim (2013, Legendary Pictures) – Ramin Djawadi, composer; Steven Coleman, supervising orchestrator. orchestrator/copyist (percussion), Safe House (2012, Relativity Media) – Ramin Djawadi, composer; Steven Coleman, supervising orchestrator. orchestrator/copyist (guitar), Devious Maids (2013, ABC Studios) – Ed Shearmur, composer. orchestrator, Star Trek: Enterprise (2005, Paramount Pictures) – Jay Chattaway, composer. orchestrator/copyist, Tinkerbell and the Lost Treasure (2009, Disneytoon Studios) – song: “The Gift of a Friend” – Stephen Lu, arranger; John Fields, producer. conductor/orchestrator, Revolution OS (2001, Wonderview Productions) – Christopher Anderson-Bazzoli, composer. conductor/orchestrator, Shooting Creek (1995, Wonderview Productions) – Christopher Anderson-Bazzoli, composer. conductor, BMI Conducting Workshop: Jerry Goldsmith Film Music (2004) – Lucas Richman, instructor. orchestrator/copyist, Disney's Pirates of the Caribbean Live: At World's End (2013, Walt Disney Music Publishing). orchestrator/copyist, Twelve Days of Christmas (2004, USA Network) – Jennie Muskett, composer. conductor, ASCAP/Fred Karlin Film Scoring Workshop: Goodbye Amelia – Christopher Anderson-Bazzoli, composer. conductor, BMI/Earle Hagen Film Scoring Workshop: Stalking the Detectives – Christopher Anderson-Bazzoli, composer. music preparation, Disney Music Library (2002-2013) Lone Ranger, Tron Legacy, The Incredibles, Lost, Pixar's Up, The 84th Academy Awards and numerous feature films and television series – Booker White, supervising copyist. conductor, 2011 Carlsbad Music Festival: Penelope – Sarah Kirkland Snider, composer; Matt McBane, Festival director. conductor, 2012 New York Composers Collaborative: Shadow of Corinth – Molly Thompson, composer; Cornelia Street Cafe, New York City. copyist, Peter Boyer: Symphony No. 1 (2013, Pasadena Symphony). editor/copyist, Gregory Smith: Zoo Song (2000) – Colorado Symphony; Marin Alsop, cond. orchestrator/copyist, Jay Chattaway: Three Rivers for wind ensemble (1999) – U.S. Navy Band. piano-rehearsal conductor, Royal Opera: Mathis Der Maler (1995) – Peter Sellars, director. orchestrator/copyist, Hollywood Bowl Orchestra: Maria Graña (1999, Live Concert) – Jorge Callendrelli, arranger. editor/copyist, Esa-Pekka Salonen: LA Variations for orchestra (1996, Chester Music, LTD.) – L.A. Philharmonic. score reader, The Los Angeles Philharmonic Inaugurates Walt Disney Concert Hall (2003, PBS) – Gary Halvorson, director. score reader, Gustavo Dudamel and the Los Angeles Philharmonic: The Inaugural Concert (2009, Deutsche Grammophone). music editor, The Wind (1928, Victor Sjöstrom) – Los Angeles Philharmonic's Filmharmonic series, 1997; Peter Sellars, musical dramaturge; Esa-Pekka Salonen, conductor. conductor (choir), Los Angeles Poverty Department: A (Micro) History of World Economics, Danced (2013, Live performance - Pershing Square, Los Angeles) – Pascal Rambert, director. vocalist, Mercy (2002, Royce Hall, UCLA) – Meredith Monk, composer & Anne Hamilton, artist. keyboardist/tubist, Calico Soul – European Tour (1995) – rock band. leader/facilitator, True Freshman Ensemble (2006 - pres.) – music improvisation gatherings – Hollywood, CA. general program annotations, Chamber Music – Fine, Spohr, & Tippett; Adams, Klughardt, Mozart & Schumann; Barber, Ives & Thomas. program annotations (LA Philharmonic), John Williams: Music from the Movies; John Adams: Excerpts from Nixon in China; Lindberg: Parada, Cello Concerto; Brahms: Serenade No. 2, Haydn Variations; Rouse: Rapture; Barber: Violin Concerto; Beethoven: Symphony No. 3, “Eroica”; Shostakovich: String Quartets 4, 5 , & 6; Takemitsu: From Me Flows What You Call Time; Tchaikovsky: Symphony No. 6, “Pathetique”; Turnage: Your Rockabye; Holst: The Planets; Stravinsky: Symphonies for Winds; Bartók: Violin Concerto No. 2; Stucky: Second Concerto for Orchestra; John Williams: Music From The City of Angels. interview, Wagner Detox: Esa-Pekka Salonen, Peter Sellars & Bill Viola on “The Tristan Project” – Performances Magazine. review, Christopher Parkening: Elmer Bernstein: Guitar Concerto, Albeniz, and Marshall – Angel Records. review, The Chieftains: The Wide World Over – RCA/Victor Records. review, Catch Me If You Can (Original Motion Picture Soundtrack) – Dreamworks Records. lecture, The Power of Music: Music in the Second World War (L.A. Philharmonic Education Department). lecture, Shostakovich: Symphony No. 10 (Hollywood Bowl). lecture, The Tristan Project (L.A. Philharmonic Affiliates). lecture, Stravinsky, Bartók & Stucky (L.A. Philharmonic – Upbeat Live). conductor/orchestrator/copyist ::: Dr. Dre: Unreleased Solo Album (2011, Aftermath Entertainment) – Eric Gorfain, arranger; Dr. Dre, producer. orchestrator/copyist (percussion) ::: Pacific Rim (2013, Legendary Pictures) – Ramin Djawadi, composer; Steven Coleman, supervising orchestrator. orchestrator/copyist (percussion) ::: Safe House (2012, Relativity Media) – Ramin Djawadi, composer; Steven Coleman, supervising orchestrator. orchestrator/copyist ::: Disney's Pirates of the Caribbean Live: At World's End (2013, Walt Disney Music Publishing). orchestrator/copyist (guitar) ::: Devious Maids (2013, ABC Studios) – Ed Shearmur, composer. orchestrator ::: Star Trek: Enterprise (2005, Paramount Pictures) – Jay Chattaway, composer. orchestrator/copyist ::: Tinkerbell and the Lost Treasure (2009, Disneytoon Studios) – song: “The Gift of a Friend” – Stephen Lu, arranger; John Fields, producer. music preparation ::: Disney Music Library (2002-2013) Lone Ranger, Tron Legacy, The Incredibles, Lost, Pixar's Up, The 84th Academy Awards and numerous feature films and television series – Booker White, supervising copyist. 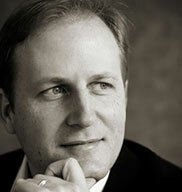 conductor ::: 2011 Carlsbad Music Festival: Penelope – Sarah Kirkland Snider, composer; Matt McBane, Festival director. conductor ::: 2012 New York Composers Collaborative: Shadow of Corinth – Molly Thompson, composer; Cornelia Street Cafe, New York City. score reader ::: Gustavo Dudamel and the Los Angeles Philharmonic: The Inaugural Concert (2009, Deutsche Grammophone). score reader ::: The Los Angeles Philharmonic Inaugurates Walt Disney Concert Hall (2003, PBS) – Gary Halvorson, director. orchestrator/copyist ::: Jay Chattaway: Three Rivers for wind ensemble (1999) – U.S. Navy Band. orchestrator/copyist ::: Hollywood Bowl Orchestra: Maria Graña (1999, Live Concert) – Jorge Callendrelli, arranger. music editor ::: The Wind (1928, Victor Sjöstrom) – Los Angeles Philharmonic's Filmharmonic series, 1997; Peter Sellars, musical dramaturge; Esa-Pekka Salonen, conductor. editor/copyist ::: Esa-Pekka Salonen: LA Variations for orchestra (1996, Chester Music, LTD.) – L.A. Philharmonic. piano-rehearsal conductor ::: Royal Opera: Mathis Der Maler (1995) – Peter Sellars, director. conductor (choir) ::: Los Angeles Poverty Department: A (Micro) History of World Economics, Danced (2013, Live performance - Pershing Square, Los Angeles) – Pascal Rambert, director. © 2014 Christopher Anderson-Bazzoli. All Rights Reserved.